The Center for Advanced Proteomics and Chemogenomics Analyses (CAPCA) is a nationally-funded research and core facility located at the Institute for Research in Immunology and Cancer (IRIC) on the campus of Université de Montréal. The facility is under the direction of Drs. 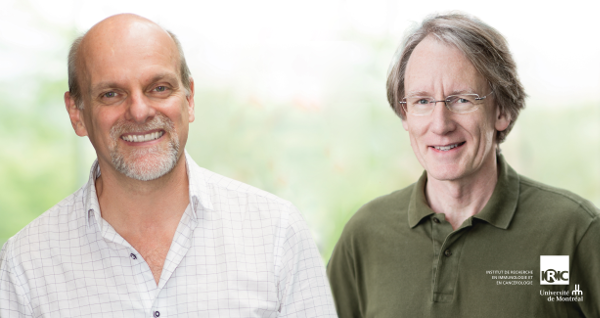 Pierre Thibault and Michael Tyers who are assisted by a team of specialists in protein purification and separation, bioanalytical mass spectrometry, chemogenomics, CRISPR-Cas9 gene editing, and bioinformatics. CAPCA builds upon multi-disciplinary expertise to provide a wide range of proteomic and chemogenomic analyses to Canadian and international researchers. This technological platform has been in operation since 2005, and gradually expanded its proteomics services in response to increasing demands for trace-level protein identification and targeted analyses. In 2010, with the arrival of Dr. Michael Tyers, the technological capabilities of CAPCA were further expanded by incorporating chemogenomic analyses.